Every adventure takes preparation, including your skydive! The big day is quickly approaching, and you want to know everything there is to know. We’ve got your back. Skydiving is a grand experience as it is, but with a few key things, you can ensure you really make the most of it. One of the most common mistakes we see people make before joining us for their skydive is failing to read the confirmation e-mails we send before your appointment. We promise we’re not just crowding your inbox. These emails contain a wealth of information, and you are shorting yourself by not paying them any attention. Our confirmation and follow up emails often highlight what to expect, what’s needed at check in (like your handy dandy form of government issued photo identification), general wait times, and refund policies. Occasionally, to respect your time, we even use email to help communicate possible weather delays. 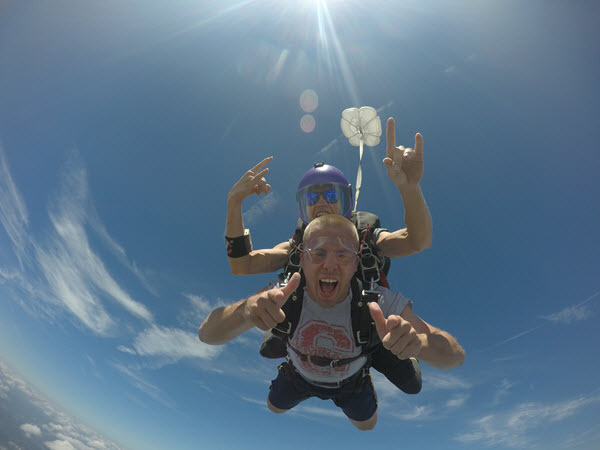 Taking a second to give our emails a read can be a tremendous help as you plan for your day and is an easy way to make a great skydiving experience. You don’t have to be a math whiz to get this equation. The less stressed you feel the more fun you can have. Unfortunately, many people’s nervous energy is redirected as frustration, especially, when wait times run long. Getting worked up only makes matters worse. Though you already know, no one can control Mother Nature. If we go on a weather hold, we are doing so because we have the safety of you and our staff in mind. Another mistake we commonly see happens when people are running late for their appointments and rush to get to the DZ on time. Being pressed for time is an awful feeling. This whirlwind of activity and a little guilt leaves our guests stressed. This is a BIG DAY. Try to plan accordingly and leave plenty of time to get the drop zone. Without the added stress of feeling late, you can keep a relaxed state of mind and ensure you have the best time possible. Hangry: an entirely preventable condition with symptoms that include, testiness, sass, and irritability. The clever portmanteau “hangry” is pretty silly, but it refers to something serious. We’ve all been there before; it’s hard to be pleasant when your tummy is rumbling away. Right before the most amazing experience of your life is no time to be hangry. Eat a nice balanced meal and be sure to stay hydrated the day of your jump. We suggest even packing a picnic with tasty snacks and setting up in our great spectator area while you wait for your turn. You have photos of every major milestone you’ve made. Don’t slip up and let skydiving be another one of those times you wish you had captured. This isn’t a pitch to make a sale. We see this mistake made all the time. In fact, one of the biggest skydiving regrets is NOT getting it all on film. Skydiving is a big-time life event, and trust us, it will go by FAST (about 120mph to be exact). With all the added adrenaline, you may even miss certain moments of it as it’s happening. Getting a video and photo package is the best way to ensure you can relive the excitement over and over again. Plus, if you don’t capture it on film, did it even happen? Anyone can say they went skydiving. Be the one that can show they went skydiving. Post a pic, sit back, and watch your feed blow up. Get ready to be #instafamous. Having friends enriches our lives and our experiences. Why not take your friendship to the next level (try 14,00 feet), and share a skydive with your friends? To understand and appreciate a skydive, you have to make a skydive. Instead of struggling to explain how amazing skydiving is to your friends, make a skydive with your friends! This isn’t an exercise in the mundane. Making a skydive is something you’ll talk about for the rest of your lifetime. Take it from us, going it alone just isn’t the same. Nothing beats the energy of your friends surrounding you on the plane as you make your way to altitude, and nothing is better than recounting back on the ground how the tough guy of the group screamed like a school girl when the plane door opened. (If you followed our last bit of advice, you might even have this perfect piece of blackmail on film). Oh, and to make the deal even sweeter, we offer some pretty sweet group rates on tandems from 14 and 18k. 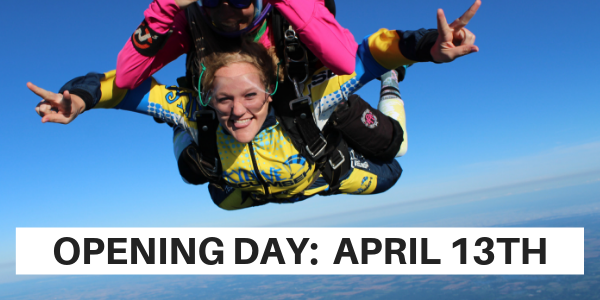 Organize a large enough group and even get your skydive for FREE. When it comes to your skydiving experience, there is no need to settle for less than excellence. We’ll provide the top-notch service and modern facilities, just supply yourself! If you are looking to make the most of your adventure, follow the guidelines above and make your good skydiving experience into a great one.